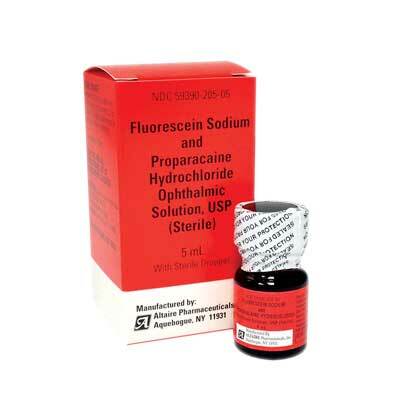 Sterile Fluorescein Sodium and Proparacaine Hydrochloride 0.25%/0.5% drops in a 5mL glass bottle with sterile dropper. Manufactured by Altaire. NDC Number: 59390-205-05. Keep refrigerated. Comes as singles.